If you’re waiting or dreaming of hitting it big one day so you can finally have the car of your dreams, wait no longer. Thanks to technological advancements and the Internet, it’s possible to own a dream car that can satisfy your need for speed and luxury without emptying your bank account. As you’re driving around in your new luxury car, though, remember to keep your need for speed to a minimum. If you happen to get a speeding ticket, it’s pertinent not to forget to take advantage of a traffic school online where you can possibly have the ticket dismissed. And if you’re new to driving, make sure to check out the legal driving ages for each state. Ferrari, Lamborghini, Maserati, Porshe, and Ashton Martin have traditionally been the cars we have lusted after. 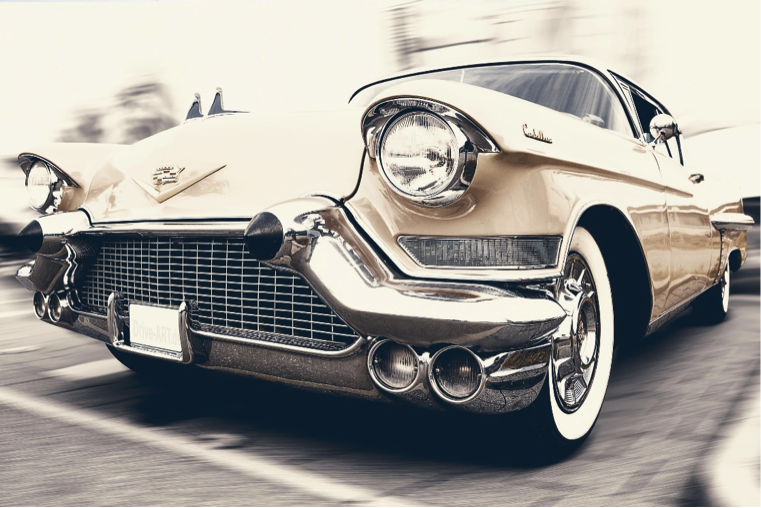 Many of the dream cars of today still include these same brand names, but they are also a few newer models from Chevy, Ford, and Honda that fall within people’s idea of a dream car. These new models come with a much more reasonable price tag, making it feasible to turn your dream into a reality. With hard work and good financial decisions, here are three dream cars that prove you don’t have to be super rich to own one. The Escalade is a luxury sports utility vehicle that screams accomplishment loud and clear. For under $25,000, used models are well within the limit of attainability. Even better, there are literally an endless number of ways to customize the Escalade, meaning you can truly make it your own and have it look like a $100,000 vehicle for well under $25,000. One of the first available vehicles with push-button start, the Honda S2000 was an engineering phenomenon when introduced. The vehicle comes standard with the recognized Honda reliability. The smooth gearbox, high output engine, and superb handling are what makes this a dream car. With the right connections and patience, you can own a Honda S2000 for under $25,000. BMW is a luxury brand vehicle that is available in many models. The higher you go in the series, the higher the price tag is going to get. But you can rest easy knowing you can score a BMW 7 series for well under $20,000 if you look in the right spot. And when we talk about luxury, that’s exactly what we mean. BMW vehicles come standard with leather heated seats, and many of them also offer cooled seats. In addition, you can also get them with navigation, rearview backup cameras, parking assist, and much more. The Corvette is well-known to be one of America’s all-time favorite supercars. The C6 generation is affordable and offers modern thrills. This generation offers interior sophistication and an LSI/LS6 engine. If you want a flashy car and high speed, consider a Corvette as a dream car within reach. Finding a Corvette within your budget may require patience, but enthusiasts consider it worth the wait. Featuring a twin-turbocharged Duratec V6 engine and an optional electronic boost control, the M400 is available used for around $60,000. The car has a power-to-weight ratio that will get you from zero to 62 in a mind-boggling 3.2 seconds. There’s no need to think of owning your dream car as the impossible anymore. With the vast new models hitting the market and the ability to research and locate used automobiles on the Internet, it is now easier than ever to make your dreams come true.